Facilitating the purchasing process of high-end products through the redesign of an e-commerce site aimed at improving the user experience. 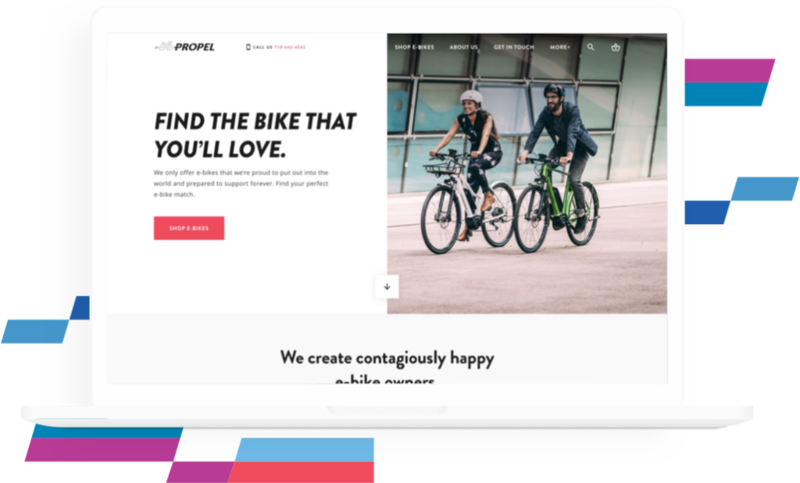 Nolte Partnered with Propel Bikes to redesign and improve the user experience of their e-commerce platform whilst promoting their matchmakers service. Beginning with only six bikes in an office building in 2011, Chris Nolte Propel Bikes’ founder, gambled that the US was ready for an e-bike boom. Soon enough, Propel became one of the nation’s leading dealers of electric-assisted bicycles. 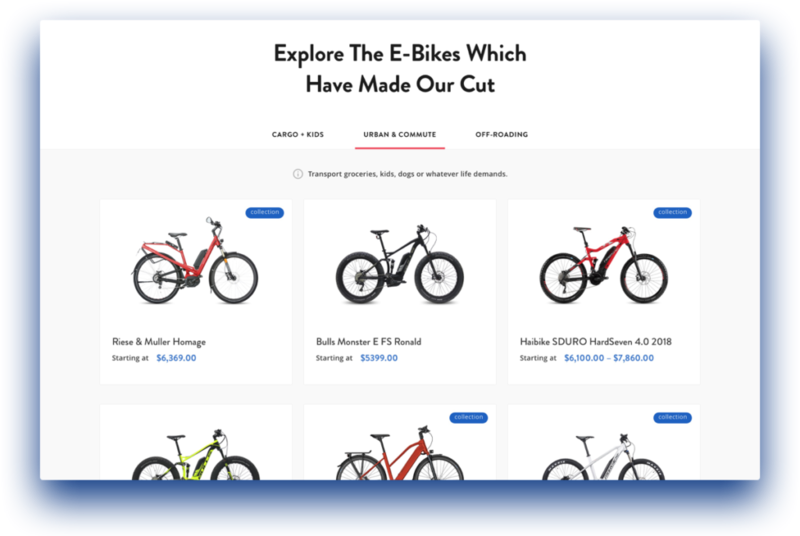 Not only does Propel provide e-bikes through their locations in Brooklyn and Long Beach, but it was also important to provide the best possible experience for potential e-bikers through their online store. The main objectives were to improve the user experience by making navigation of the website easier and boost knowledge of their matchmakers service aimed at offering personalized support to help e-bikers select the best possible option. 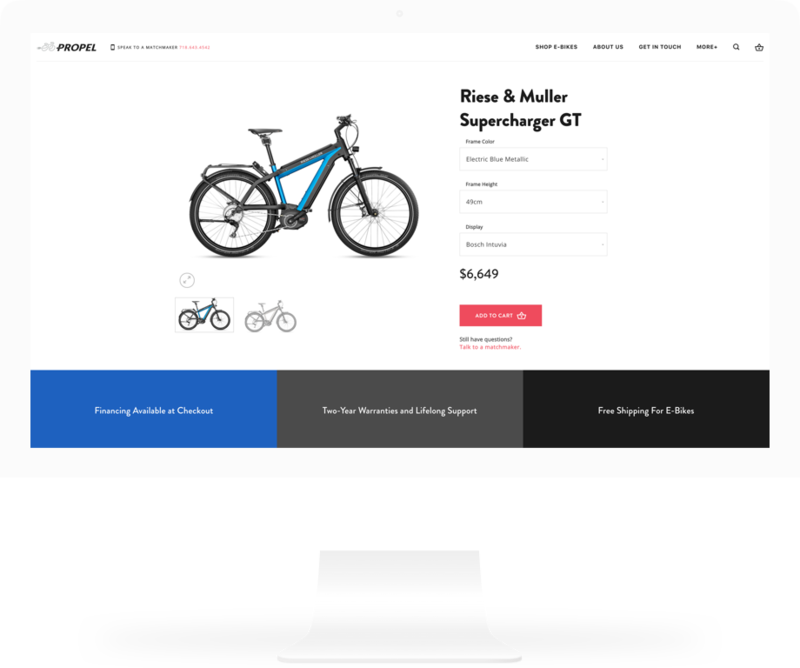 Propel Bikes needed an evaluation and upgrade of the user experience on their online store. This was focused on driving increased online sales and boosting their matchmaker service. Navigation of the previous site was somewhat confusing due to information overload from viewing too many options all at once. Reorganization of the sitemap was needed and support with updating their brand had to be included in the project. As a result, the corresponding visual elements for the e-commerce platform also had to be created for the website. Together with the Propel Bikes team, a Sprint 0 was defined to organize and execute the design planning phase of the project. Once completed, the development of the design elements took place over a month with daily stand-ups to ensure alignment and approval from the Propel Bike side. Chris Nolte served not only as the Product Owner from the Propel team but also as the overall subject matter expert of the electric-bike market and customer service experience standard for the business. 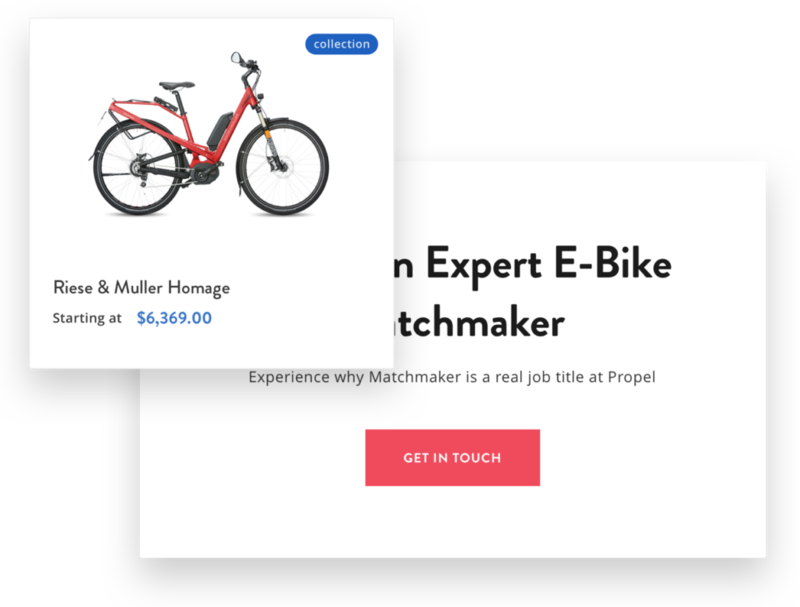 During this process, we upgraded the Propel Bike brand and built out the entire user experience considering the online-offline matchmaker interaction. Based on this, the corresponding prototype was created using inVision. The user experience was validated using usertesting.com and was very well accepted by the sample group. Through this collaborative relationship between both teams, we were able to deliver a product that met the main objectives of the project. Nolte created the design and defined the user experience for the development of a WordPress website for Propel. The website was e-commerce enabled through the integration of the WooCommerce plugin available for this CMS. Working closely with the Propel Bike team, the design strategy was developed, taking into consideration all applicable best practices for the User Experience (UX). At Nolte, the product design process includes sharing input, research, and deliverables with the entire team to keep everyone in the loop. Anticipation, by working closely with development teams to makes sure the scope can be completed within the designated time frame and within budget. And of course, flagging which allows notifications to be sent to the project manager well in advance of potential risks and problems. In order to facilitate a seamless transition between the previous and new websites, the Nolte team was heavily involved with guiding development and supporting bug identification and resolution. 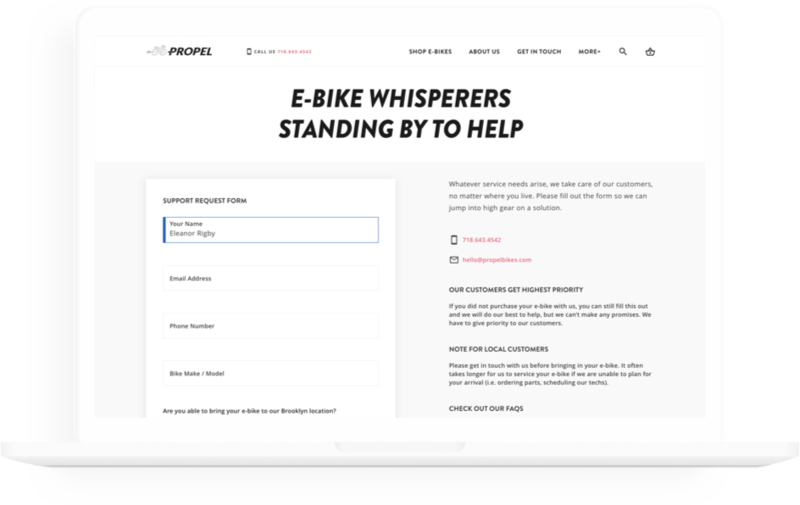 The Propel Bike online purchase and customer service experiences were greatly improved by this digital solution compared to the previous system. Potential and current e-bikers looking to upgrade or change their current bike model now have a clear, easy to navigate interface to help them find their best fit. If further help is needed from an expert, the matchmakers service is now accessible and painless, visible right from the very first interaction with the website.